Dúo con José `Pepucho´ Hdez. The duo maintains an intermittent activity since 2002, sometimes opening the formation to other artists. So, they have collaborated with various musicians, such as guitarist and bassist Jaime H. Linares (2003-2006) or saxophonist Rodrigo Ramos Mohorovsky (2009-2010), and some visual artists as Alejandro Delgado (2006-2008) and Dea-Woon Kang (2009). 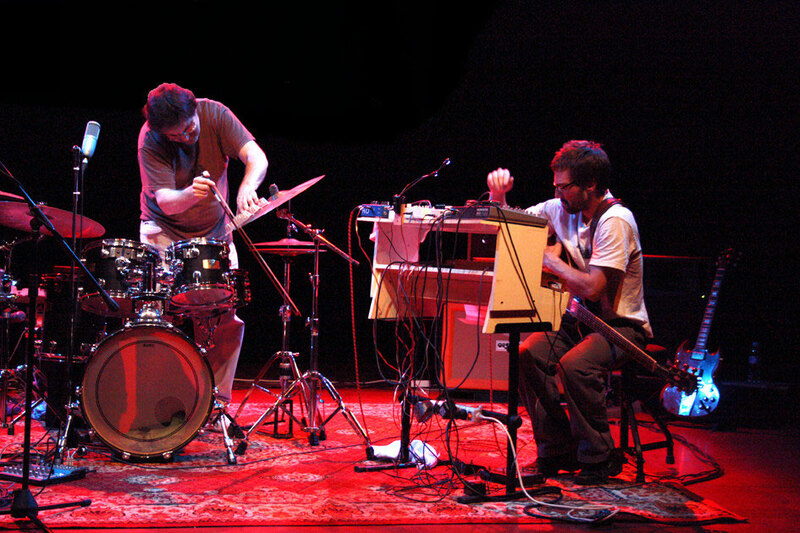 The longevity of this project, the continuous searching for new ways to face the spacial tension of the sound and the reflexion of this process has enabled this duo to evolv from a visceral and unorthodox free improvisation music to a radical noisism, and then to a deeply abstract electroacoustic experimentation. Now this duo is developing a minimalist sort of reductionism, full of sublime noise and micro-articulated sound. José `Pepucho 'Hdez. :Drums, percussion and objects. Rafael Pinillos:Electric guitar and electronic effects.